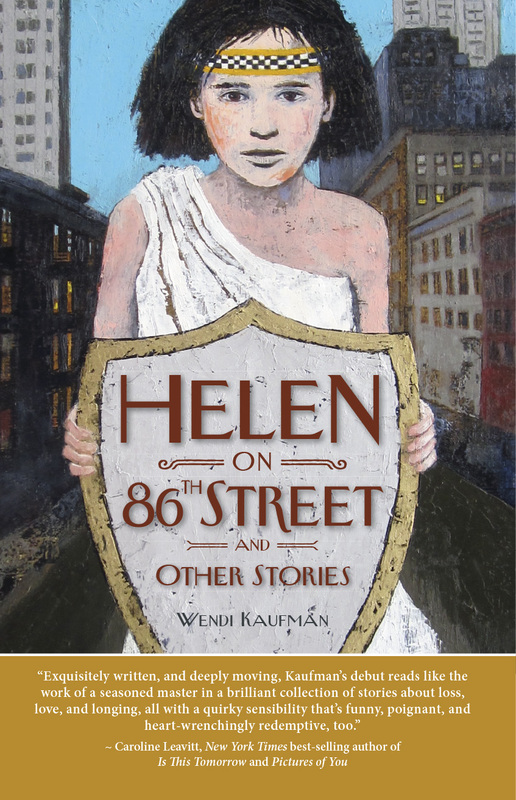 “Helen on 86th Street and other stories,” by Wendi Kaufman. Cover designed by Paul Gormont, with art from Sheep Jones. Mason’s student-run Stillhouse Press debuted their first book “Helen on 86th Street and Other Stories” by Wendi Kaufman this year’s Fall for the Book. Stillhouse Press was created in collaboration with FFTB, a book festival that ended last week, and Relegation Books, a small publishing house founded by Master of Fine Arts alum Dallas Hudgens. Stillhouse Press’ goal is to give students hands-on experience in the publishing industry and force students to look at the production side of writing instead of solely the writing itself, according to William Miller, the writing program director at Mason and director of operations at Stillhouse,. 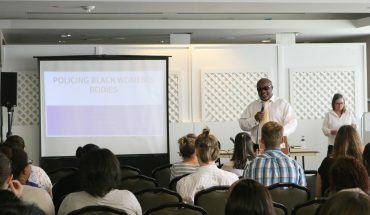 “[It] helps students see the ‘we’ of publishing instead of ‘I.’ Publishing is never a solitary job,” Scott Berg, the faculty advisor and managing editor, said at the FFTB event. Hudgens provided the funds to FFTB to initially establish Stillhouse Press and established a model for the students to use based on his own. This model is a print-on-demand and e-book model, meaning that the number of books printed depends on the number of book orders being processed. Instead of “warehousing,” in which the publisher gets a large book order to sit in a warehouse, POD starts with a small print run and prints more if needed. This model enables Stillhouse to remain at Mason’s campus and is cheaper than other printing options, creating greater potential for publishing new work. 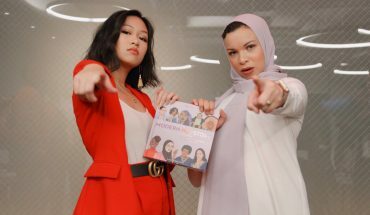 The major positions of the press are run by students. Editor and MFA creative writing student, Marcos Martínez, explained that students work with the author in all steps of the process, from selecting the manuscript to proofing and editing the text, to the interior layout and design of the book. 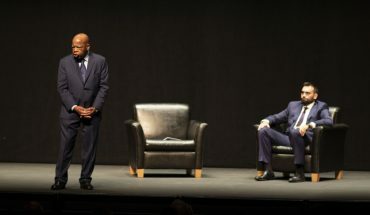 When working on “Helen on 86th Street and Other Stories,” Martínez worked with Kaufman on publishing aspects likeselecting stories to include in the final copy, which sentence to end a story on or appropriate comma use. Regrettably, Kaufman passed away from cancer just weeks before her book’s debut. The FFTB event and the printed book will serve as a dedication to her memory. Miller and Hudgens were both close friends to Kaufman and felt her short stories deserved to be published as one book. Since Kaufman is a Mason alum, they felt her book was fit to serve as Stillhouse Press’s first. Stillhouse plans to explore submissions beyond the Mason and Northern Virginia community, serving as an opportunity for writers who want a more intimate and personal experience with publishing. Hannah is the Online Lifestyle Editor for Fourth Estate and a senior communications major with a theater minor. When not writing or doing school work, she pretends to be a silly barista.